Over the course of a week I captured the sounds of Tasmania, an island off the coast of Victoria, Australia with all its life and beauty. It shows off the island’s tranquil birds, delicate waves on the rocky shores, mountain streams, light wind and rain in the forest, and much more. Tracks last from 2.5 to 6 minutes, giving you over 3.5 hours of these unique wilderness ambiences.All sounds were recorded using the Sound Devices Mix Pre 6 and a stereo pair of Sennheiser MKH 8020s. Tek Chok Ling Nunnery library contains one of a kind, unique collection of sounds, recorded both within the walls of the Nepalese nunnery and on the filled with life streets of Kathmandu. The purpose of the Tek Chok Ling Nunnery is to inspire and infect with the contagious beauty of everyday buddhist rituals, which normally are not accessible for outsiders and ment to be experienced by only a limited group of people, whose entire lives are dictated by their immaculate religious beliefs. Within those humble advocates of unrestricted faith in a fellow man and a stranger, one can find an inspiration and a proper dose of somewhat distant empathy in the Western world. The library includes, but is not limited to sounds from both the nunnery and the hectic streets of the capital city of Nepal. The busy streets of Kathmandu carry the beauty of its everyday hustle and bustle sounds, containing a diverse range of city ambience. 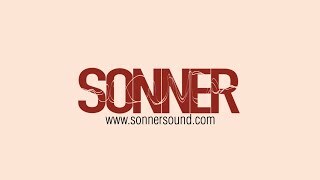 Extensive information of every track was made, making the search for desired environmental sound much easier, formatted for Soundminer. The library features 3h24min of sounds from Tek Chok Ling Nunnery, Kathmandu and Himalayan mountains. Take a trip to the Grocery Store! The Supermarket ambience pack gives you over 12-minutes of shopping ambience delight. We’ve also included 13 HD sound clips and an impulse response. This pack was stealth-recorded with a Zoom H4N and a set of omni directional mics in an A-B configuration.